and Echo Gas Powered Portable Drills. Stratton and Robin engines available. 10.2 inches. A 17 inch extension is available. 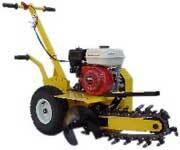 Ground Hog Two Man Auger C71-5 5.5 hp Honda engine. length. Extension shafts are available in 1, 2, 3 and 4 foot sizes. metal shoes and housing. Robin or Briggs engine options. man auger into a package that can be controlled by one person. keyless chuck. Drills holes up to 1 inch maximum in wood. keyless chuck. 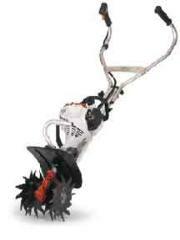 Drills holes up to 5 inches maximum in earth. commercial, 1 month rental, 2 year consumer warranty. run and stop controls are on the handle bars. makes it easier to carry.